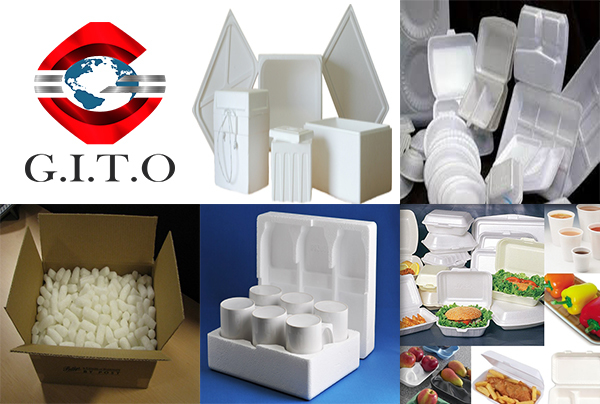 US retailer Target has vouched to eliminate expanded polystyrene (EPS) in its own brand packaging by 2022 because it is "a pain to recycle" and "a major cause of ocean plastic contamination". The company will work with its suppliers to find environmentally sustainable alternatives to EPS, taking into account the performance, cost and availability of materials. The move comes after pressure from shareholder advocacy group As You Sow, which filed a shareholder proposal in February asking the company to phase out polystyrene in its products because of marine pollution concerns. The group withdrew the proposal shortly before Target announced its new policy. As You Sow filed similar shareholder proposals with Amazon and Walmart. And it has asked McDonald's to phase out polystyrene foam cups globally. The company mostly switched to paper cups in 2013 but still uses the material in some locations. The reason for As You Sow's concern is polystyrene packaging's major contribution to marine pollution. It is rarely recycled and easily swept into waterways, where it breaks down into small pellets which marine animals ingest and often die from. A recent report by the Ellen MacArthur Foundation named replacing polystyrene and EPS, along with PVC, a priority in the fight against increasing ocean plastic contamination. NGOs Safer Chemicals, Healthy Families (SCHF) and the Environmental Defense Fund (EDF) praised Target's decision to move away from EPS. SCHF said the material is "an environmental and human health nightmare. Its manufacture exposes workers and communities to styrene, a known carcinogen." The US EPA has not formally classified styrene as carcinogenic. But California's Office of Environmental Health Hazard Assessment (Oehha) has listed it as such under Proposition 65. SCHF hopes Target will expand its policy to tackle other packaging materials of concern, such as BPA and highly fluorinated chemicals. EDF said the retail chain's initiative "provides a real demonstration of its pledge to tackle chemicals of concern up the supply chain". The group had also applauded Target's chemicals policy, which includes plans to phase out phthalates, NPEs, parabens, formaldehyde and formaldehyde-donors from formulated products the store sells by 2020. This will include beauty, baby care, personal care and household cleaning products. Target has also committed to phasing out perfluorinated chemicals (PFCs) and flame retardants from textiles – including clothing, carpets and upholstered furniture – by 2022. Its pledge to phase out EPS is one of five sustainable packaging goals. The others concern increasing its use of recyclable materials, and sustainable sourcing of paper-based packaging.